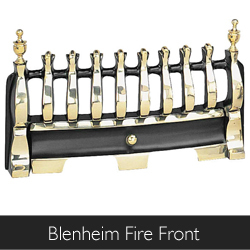 Add a touch of class to your electric or gas fire with an ultra-stylish Manor Blenheim Gas Fire Front. 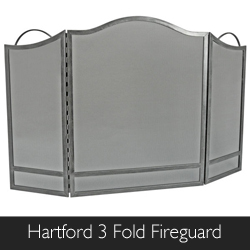 This fire guard is sure to chase away your winter day blues with its gorgeous golden accents and attractive traditional design. See more fire fronts from Manor. 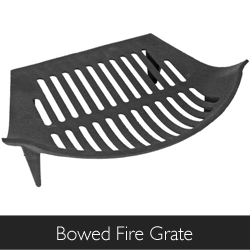 Is your fire grate looking a little worse for wear? There’s nothing better than stoking up a fire on a chilly winter night to keep your house pleasantly balmy; but after a while your fire grate will start to suffer. 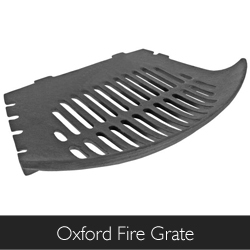 Give your fireplace a new lease of life with the extremely elegant Manor Oxford Fire Grate and the Manor Bowed Fire Grate. Log burners are always a fantastic companion to have on cold and frosty nights, however they can be quite tedious to maintain as they need to be cleaned out after each use. 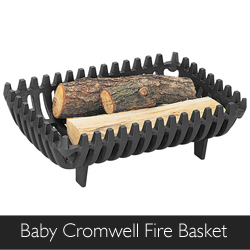 Introducing the Manor Baby Cromwell Fire Basket, this robust metal fire basket is extremely easy use and easy to maintain. 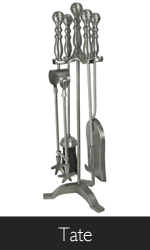 It can hold a substantial amount of coal and firewood for the ultimate open fire experience. New to the Manor range, these gorgeous Vintage Cream and Grey ash buckets are a must have fire accessory to any open fireplace. 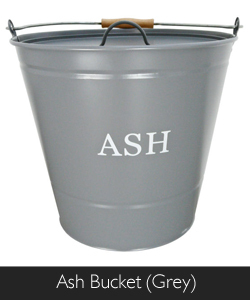 Thanks to its wide and spacious dimensions a large quantity of ash can be held within the container, compared to your typical ash bucket. 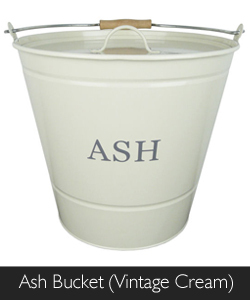 This particular ash pail in the manor range has been designed with a fixed lid, so you don’t have to worry about ash spilling out all over your clean carpet. 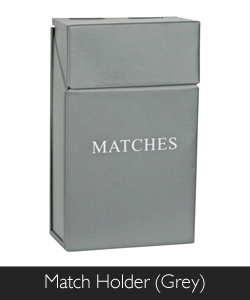 Staying with the elegant vintage theme, Manor have also produced a pair of beautifully designed metal Vintage Cream and Grey Match Holders. 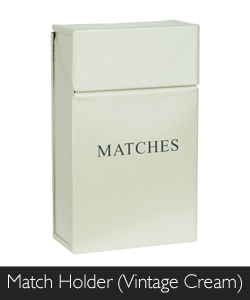 These sleek boxes are perfect for storing and managing your long safety matches thanks to their large size and secure hinged lid. There is nothing worse than finding unpleasant scorch marks on your lounge carpet; so why let your open fire take control of your home? 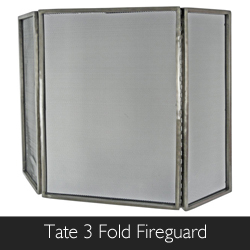 Introducing the strikingly stylish Tate 3 Fold Fireguard, the Hartford 3 Fold Fireguard and the Vermont 3 Fold Fireguard; each one has been specifically constructed to offer you the best protection against harmful sparks and unwanted debris. 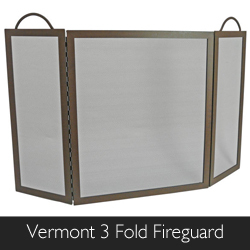 With their fine mesh screens and 3 part folding system, you can protect your furnishings from all directions. 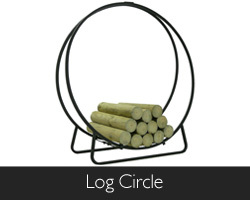 Here we have the ultra-modern and chic Manor Wire Log Basket and the Manor Log Circle. These attractive log containers are perfect for storing big bundles of firewood in (so that they’re not under feet!). 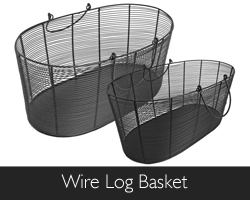 With their eye catching wire structure and smooth linear design they are sure not to go unnoticed by visiting guests. 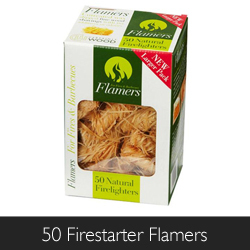 These odourless Firestarter’s from Certainly Wood are 100% natural, wax dipped fine wood shavings. 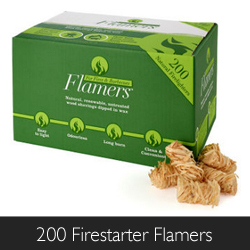 You only need one of these extremely easy to light Firestarter Flamers to get your fire started for a nice and cosy evening indoors. 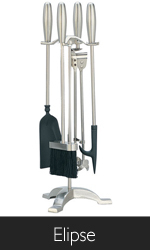 Certainly Wood flamers are suitable for all wood burning appliances, especially for barbecues! Ash Bucket, Autumn, Certainly Wood, Companion Sets, Cosy, Fireguards, fireside accessories, Fireside Furnishings, Log Baskets, Manor, Post Boxes, winter. Bookmark. 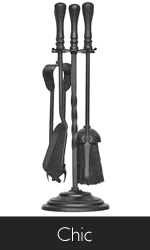 The Flamers are brilliant for starting the fire! We even use them to start the BBQ.